[Click image to close] A GB plate must be displayed on the rear of your vehicle, caravan or trailer. 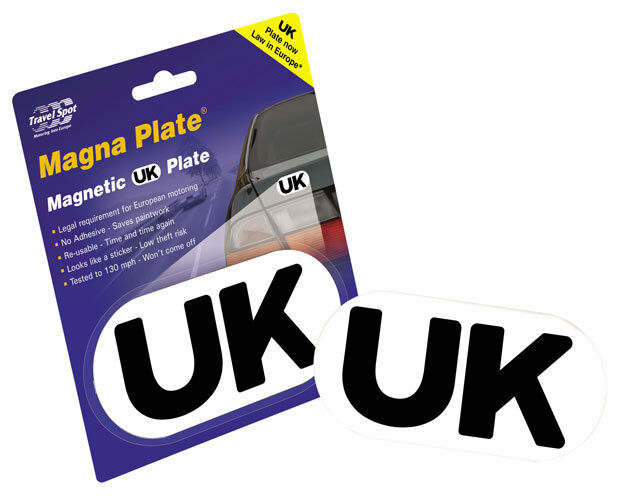 It is an International legal requirement that every motor vehicle which is being driven from one country to another must display a 'Country of Origin' identity plate. Failure to do this could result in the immediate imposition of an 'on the spot fine'. The reason for a GB plate is to advise other motorists that you are a visitor to their country and as such you are probably unfamiliar with their motoring conventions. Leaves no sticky adhesive residue and will not damage paintwork - it's made from flexible magnetic rubber. Can be used again and again - a GB plate for life! Has been tested to 130mph - so it won't come off. Looks just like a sticker - so it won't get stolen. 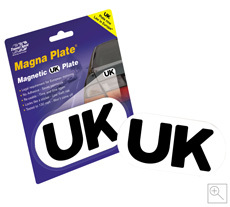 High-quality, laminated, self-adhesive GB plates for use on caravans and motorcycles. Fly your flag with pride with a magnetic St George’s Cross. All essential products required to ensure you are Safe & Legal are available onboard from all the major ferry companies and cross-channel operators.